Pope Francis Excommunicates The Mafia - Joe.My.God. 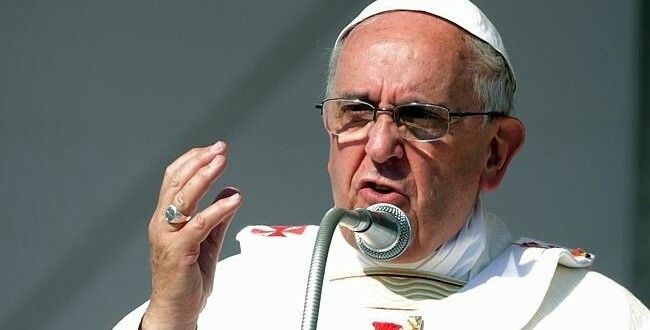 Pope Francis has issued the strongest condemnation of organised crime groups by a pontiff in two decades, accusing them of practising “the adoration of evil” and saying that mafiosi were excommunicated. It was the first time a pope had used the word excommunication – a total cutoff from the church – in direct reference to members of organised crime. “Those who in their lives follow this path of evil, as mafiosi do, are not in communion with God. They are excommunicated,” he said in impromptu comments at a mass before hundreds of thousands of people in one of Italy’s most crime-ridden areas. To sustained applause he told the crowd on Sunday: “This evil must be fought against, it must be pushed aside. We must say no to it.” He called the local crime group, the ‘Ndrangheta, as an example of the “adoration of evil and contempt of the common good” and said the church would exert its full force in efforts to combat organised crime. A Vatican spokesman later clarified that the Pope’s words did not constitute the “formal legal process” of excommunication but were meant to isolate mafia members from their communities.